Air Malta has introduced a new system of cheap fares and hived off its ground handling operations into a separate aviation services company, Tourism Minister Konrad Mizzi said today. He confirmed this morning that agreement was reached with the General Workers Union to move around 450 Air Malta ground and passenger handlers to a new company. “The new company will offer services to other airlines and it will also manage cargo operations,” Dr Mizzi said, adding this was part of the reform process at the airline. He called on Air Malta unions to accept changes in work practices as the airline tried to survive in a cutthroat environment. Dr Mizzi said collective agreements with unions had to be in place by a January 1. He acknowledged the stumbling block was the financial remuneration package but insisted workers will lose nothing from their take-home pay. He said pilots and cabin crew were being asked to accept changes in work practices in line with international standards and called for understanding. “I am sure common sense will prevail and everyone will be reasonable otherwise the airline runs the risk of returning to insolvency and this time around taxpayers will not be able to foot the bill,” he said. Dr Mizzi was speaking at the launch of a new cheap air fare intended to attract more customers, who prefer traveling with just a hand luggage. Labelled Go Light, passengers can buy a one-way ticket from €39 for almost all Air Malta destinations with no bag allowance (apart from the hand luggage). Baggage allowance can be bought at an extra charge. 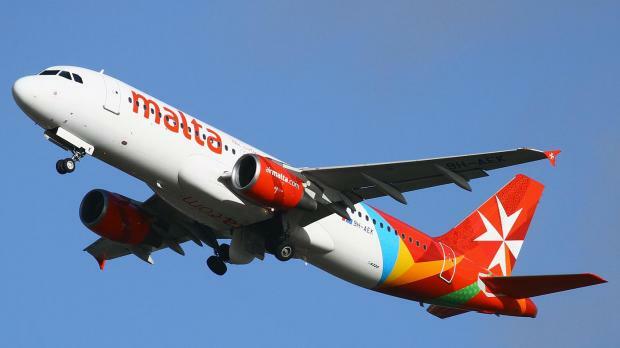 Company officials said the system was introduced in the airline’s booking platform last week to test the package and Air Malta sold 25,000 Go Light tickets. Booking activity increased between 20 and 35 per cent as a result of the new package, the airline said. Paul Sies, Air Malta chief commercial officer, said the airline had to attract more passengers to fill its seats. He said the new package, part of a three-way choice for customers, would make the airline more competitive in a cutthroat business. Air Malta chairman Charles Mangion said the airline had to take quick decisions to survive, expressing hope in the airline’s future. “The new turnaround strategy is based on the trust we have in our employees… we want Air Malta to be a Mediterranean hub linking Europe with North Africa and the Middle East,” he said.